Since his first donation of $5 to Johns Hopkins University in 1964 – the year he graduated with a bachelor’s degree in engineering – Mike Bloomberg’s total giving to the university has reached $3.3 billion. The support has impacted students and faculty in terms of facilities and infrastructure, research and academic achievement, student body quality, and diversity. The Johns Hopkins School of Hygiene and Public Health was founded in 1916, making it the first independent graduate school of public health. In 2001, the school was renamed the Johns Hopkins Bloomberg School of Public Health for Mike Bloomberg in recognition of his financial support and commitment to the field of public health. The Bloomberg American Health Initiative at the Johns Hopkins Bloomberg School of Public Health will help the school transform the United States’ approach to modern public health challenges. The Initiative, announced in 2016 as part of the school’s centennial, focuses on five areas affecting public health: drug addiction, obesity, gun violence, adolescent health, and environmental threats. It will include 50 public health fellows each year, fund faculty and their research, and establish scholarships for the new school-wide Doctor of Public Health (DrPH) program. The Bloomberg American Health Initiative is part of the American Cities Initiative, a suite of investments that empower cities to generate innovation and advance policy that moves the nation forward. Embracing Vice President Joe Biden’s Moonshot call to cure cancer, Mike Bloomberg, businessman and philanthropist Sidney Kimmel and other supporters contributed to the Bloomberg~Kimmel Institute for Cancer Immunotherapy. The Institute has the potential to eventually end all forms of cancer by studying immunotherapy which seeks to redirect patients’ highly individual immune systems to target, detect and destroy cancer cells. Research at the Institute will focus on melanoma, colon, pancreatic, urologic, lung, breast and ovarian cancers. In addition to this research, the Institute will also recruit scientists, provide additional infrastructure for engineering cellular products related to immunotherapy research, enhance partnerships with the private sector, and invest in critical technology development. The Bloomberg Distinguished Professors, announced in January 2013, will form a group of 50 world-class faculty members whose excellence in research, teaching, and service will be centered on interdisciplinary scholarship. They will bridge the university’s schools and divisions, conduct and stimulate innovative research that crosses traditional disciplinary boundaries, and train a new generation of native inter-disciplinarians. In 2012, the Johns Hopkins Hospital building – which includes the Charlotte R. Bloomberg Children’s Center and the Sheikh Zayed Tower – opened. The Bloomberg Center combines art and architecture to create a unique haven and healing environment for young patients undergoing treatment and their families. The blueprint of the center, named in honor of his late mother, embodies Mike Bloomberg’s commitment to and belief in the power of art and design to inspire creative thinking and improve lives. One prominent feature of the Charlotte R. Bloomberg Children’s Center is the façade, a wall of glass and steel created by artist Spencer Finch. The façade’s colors were distilled from a Monet painting and designed to imbue the building with a natural, healthy light. Click here to see photos of the Charlotte R. Bloomberg Children’s Center. 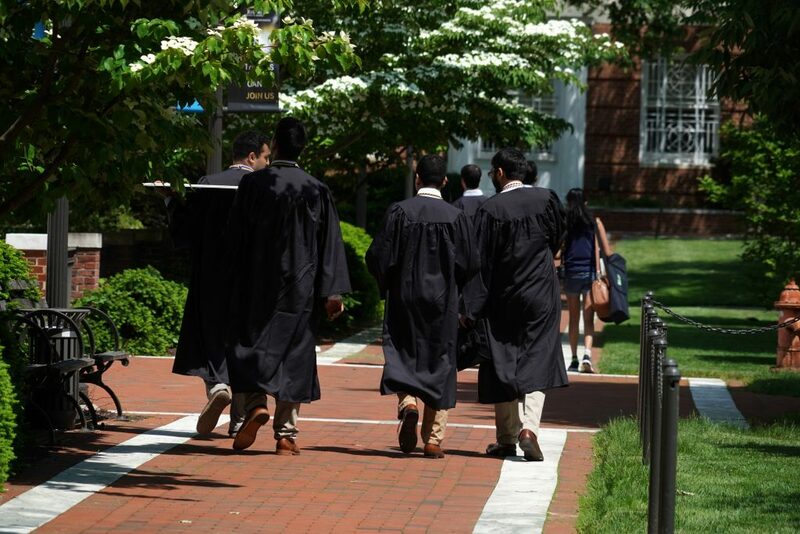 A $1.8 billion commitment from Mike Bloomberg will be devoted exclusively to undergraduate financial aid allowing Johns Hopkins University to permanently commit to need-blind admissions and ensure unparalleled educational opportunities for the next generation of global leaders.